WASHINGTON — Eating like a caveman meant chowing down on woolly rhinos and sheep in Belgium, but munching on mushrooms, pine nuts and moss in Spain. It all depended on where they lived, new research shows. 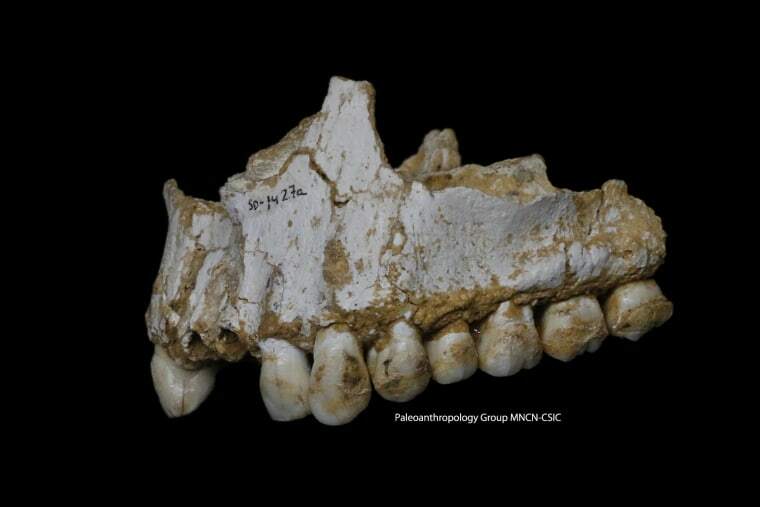 Scientists got a sneak peek into the kitchen of three Neanderthals by scraping off the plaque stuck on their teeth and examining the DNA. What they found smashes a common public misconception that the caveman diet was mostly meat. They also found hints that one sickly teen used primitive versions of penicillin and aspirin to help ease his pain. The dental plaque provides a lifelong record of what went in the Neanderthals' mouths and the bacteria that lived in their guts, said study co-author Alan Cooper, director of the Australian Centre for Ancient DNA in Adelaide. "It's like a fossil," he said. While past studies showed varied Neanderthal diets, genetic testing allowed researchers to say what kind of meat or mushrooms they ate, Cooper said. The 42,000-year-old Belgian Neanderthal's menu of sheep and woolly rhino reflected what roamed in the plains around the Neanderthal's home, he said. The research is in Wednesday's journal Nature. "I do wonder what rhino tastes like," said study lead author Laura Weyrich, a paleo microbiologist at the University of Adelaide. "I'm not a big fan of sheep. I think I'll take the rhino." There were no signs of meat in the diet of the two 50,000-year-old Spanish Neanderthals, but calling them vegetarians would be a stretch, Cooper said. Their own bones showed that they were eaten by cannibals. The two specimens in Spain were a female adult and a teenage male, who wasn't a son or brother but may have been some other relative according to their DNA, Weyrich said. The young male was obviously sick, with an infected mouth and other injuries, she said. But on his teeth — and only his — were two residues. One was from the poplar tree where doctors would later get a key ingredient in aspirin and the other was from mold that had a version of the antibiotic penicillin. The primitive penicillin was a surprise, Cooper said. It's too premature to say the mold was being used for that purpose, but "it does make me wonder," he said. The research gives direct evidence for what was already suspected about their diverse diets and use of medicine, said University of Colorado Museum's Paola Villa, who wasn't part of the study. She called the new study "very significant." Neanderthals went extinct about 37,000 years ago, about 26,000 years before their dinners, the woolly rhinos, she said.